When a parent loses their child, there’s really not much, if anything, that can bring them comfort. But for this father who had to say goodbye to his 11-year-old son, his sadness was channeled into creating a heartwarming tombstone to commemorate the joy his son brought to his family’s life. 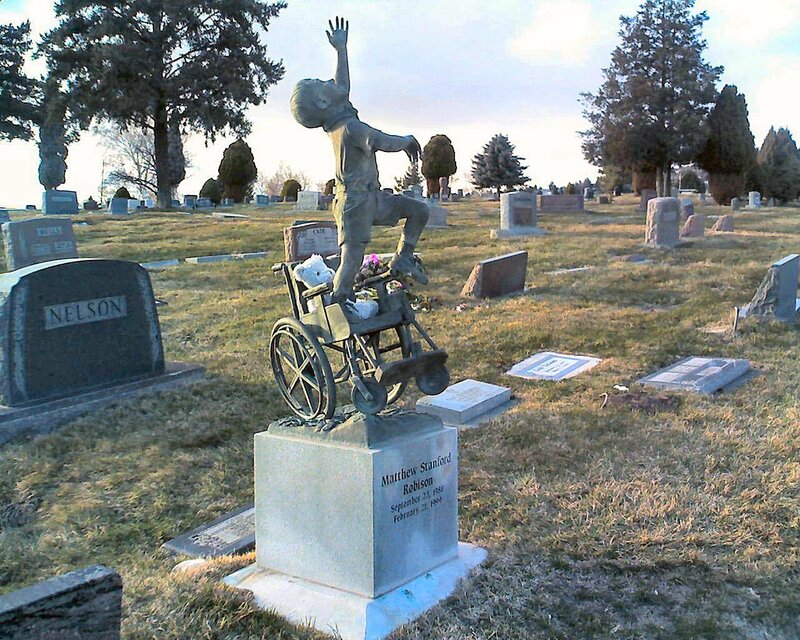 The touching tribute includes the wheelchair his son was bound to and shows the child rising out and reaching for the sky. Although his little boy was no longer with them, he was also no longer bound by the multiple ailments he had while on Earth. His son, Matthew, had spent his short life being diagnosed with several different ailments due to a lack of oxygen at birth. He was paralyzed from the neck down, blind and only able to speak a few words. Parents Ernest and Anneke Robinson had a difficult time achieving basic care and rehabilitation for their son’s unique needs, which prompted them to create Ability Found in 1993. 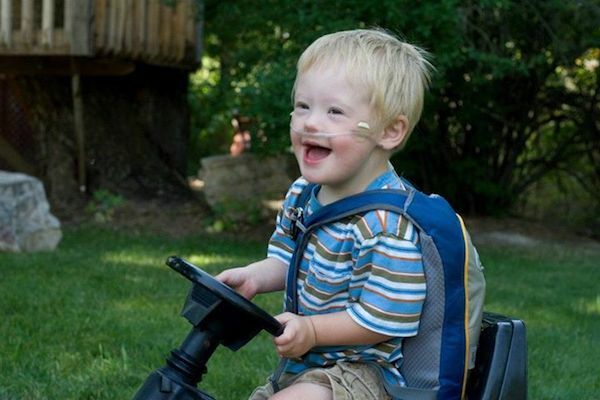 The non-profit organization aids those in need of special equipment for their disabilities but lack the financial ability, like this happy little guy. The statue was placed on Matthew’s tombstone in 2000 and remains in recognition of their brave son and those like him who are still fighting. You can find out more information on how you can help those in need by checking out the foundation’s website. Be sure to share this inspirational story with your friends using the buttons below. Oh my KATS! So touching! So wonderful a tribute. I love pieces that make you take it in and think about what it means. A very touching story . Reblogged this on Dad to 3. Will never forget him ….. lovely son! !